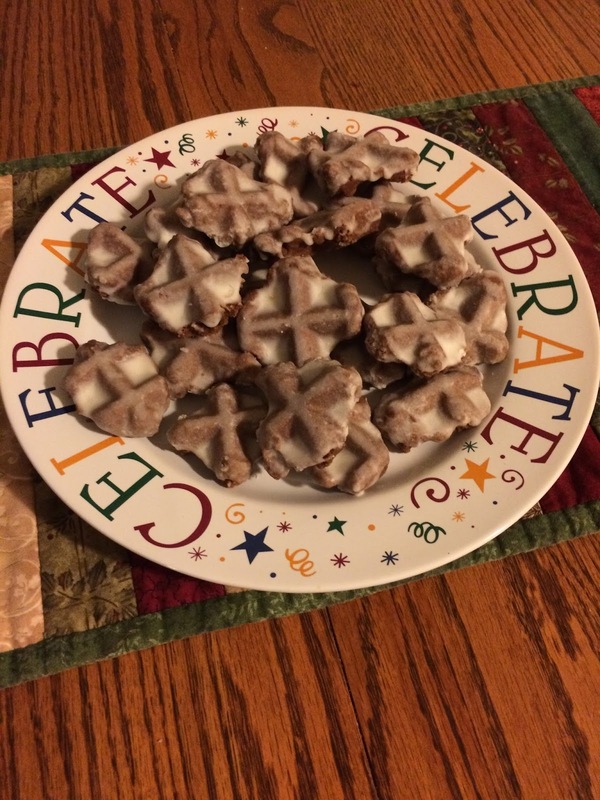 Today's 12 Days of Christmas is a wonderful family recipe for chocolate waffle cookies! This has been a staple in my house for my entire life, and as kids, we loved making them every year with Grandma Hazel! This recipe uses gluten-free flour because that's how I have to make them now, but if you aren't gluten-free, use regular all purpose flour for these cookies. Enjoy! You may be wondering what the heck this is, right? 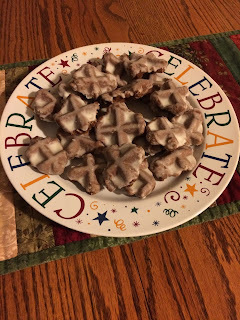 Exactly what they say they are, cookies made on a waffle iron, and they are delish. I only make this cookie at Christmas because it's something we look forward to this time of year. My grandmother always made these cookies and we didn't have to be very old to help her because it uses the waffle iron instead of the big oven. We always used green or red sugar on the cookies to make them festive. With mixer blend the flour mixture into the butter mixture until mixed well. Cool cookies on rack and then frost with vanilla icing. 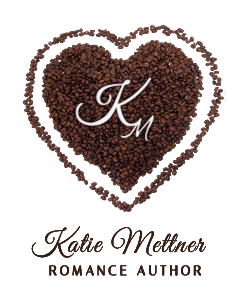 You can use homemade or store bought vanilla or cream cheese icing. Powdered sugar until frosting consistency. 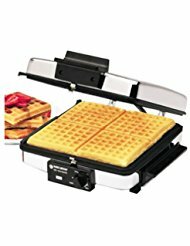 This is the type of waffle maker I use, but anything works as long as you don't use a Belgian wafflemaker.